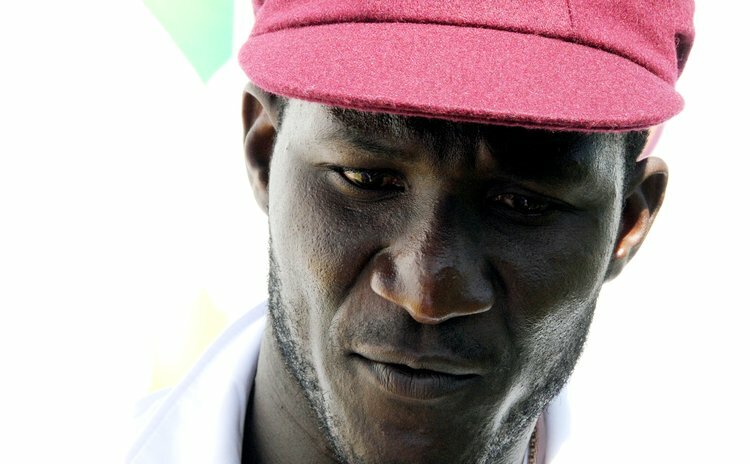 MUMBAI, India – West Indies captain Darren Sammy said his side can resist the groundswell of sentiment that will accompany the second Test against India, starting on Thursday (Wednesday midnight East Caribbean Time), and find redemption with a victory. The second Test has been transformed into the great farewell for India's star batsman Sachin Tendulkar. He will be playing an unprecedented 200th and final Test for his homeland on familiar territory at the Wankhede Stadium and the emotions are likely to be high among his fans, hoping for a final glimpse of his mastery. The Windies trail 0-1 in the two-Test series, following an innings and 51-run defeat inside three days in the first Test that ended last Friday at Eden Gardens in the eastern Indian city of Kolkata. But Sammy said his side's objective was clear – earn a series-levelling victory that would invariably spoil Tendulkar's retirement party and prove against the No.3 Test side in the World that No.6 West Indies was a side moving in the upward direction in the World rankings. "We had a couple training sessions over the last few days and they have been going well," Sammy told WICB Media ahead of the Test. "We have all been working very hard. We are all disappointed about our performance in the previous Test and we all admitted we are a better than side than what we displayed in Kolkata. "It's about us now putting it right out on the pitch and fighting hard for each other and the people of the Caribbean. We are looking to put a much improved performance in the second Test." He added: "We have all been in this situation before and we have always bounced back. We have to keep believing in ourselves and in our ability, and keep mentally focussed when we are out on the field. "When the going gets tough, we have to just battle things out. . .Trust our technique and be mentally tougher to weather the storms that pop up. Once we can do this and keep playing sensibly, there is no reason why we can't improve and go on to win this Test here." West Indies plans were setback over the weekend, when key fast bowler Kemar Roach was ruled out of the remainder of the series with a shoulder injury. Fellow fast bowler Shannon Gabriel arrived on Monday to replace Roach. Sammy said rather than cry over Roach's absence, it meant that another bowler has the opportunity to shine brightly the Windies and lead the team to a memorable victory. "We will make do with the bowlers that we have here," he said. "Whatever 11 goes out onto the field must have a positive mind-set that they can take 20 wickets against India." Sammy said his side needed to pay close attention to a pattern that has developed in recent times, where West Indies remove the top half of their opponents' batting cheaply and fail to knock over the tail in short order. In the first Test, the Windies had India reeling on 156 for six, but Rohit Sharma hit a debut Test hundred and Ravichandran Ashwin collected his second Test hundred against the Caribbean side in a double-hundred, seventh-wicket stand that put the hosts firmly in control. "We have to keep fighting and we have to bowl the same way we have bowled to the top-order batsmen," he said. "We should not relax when the lower part of the batting comes in. We still have got to be disciplined with our lines and lengths and when the opportunities come we have to take them. "To be fair, Ashwin and Sharma batted well in the first Test, especially with Shane bowling well, they battled it out, and when the ball stopped doing a bit, the capitalised. But we need to find a way of finishing off teams." Apart from Tendulkar, veteran batsman Shivnarine Chanderpaul is set to become the first West Indies player to appear in 150 Tests, becoming only the seventh player to achieve the landmark. Chanderpaul, aged 39, made his Test debut 19 years ago on home soil at Bourda Oval in the Guyana capital of Georgetown. He was the 204th player to wear the maroon cap of the Windies. Sammy said it was an honour to play alongside "Tiger", as he is universally affectionately known. "He is really 'the lion' of this team and has carried our batting for a number of years now," said Sammy. "He helps out the younger players like Kieran Powell and Darren Bravo and they can take inspiration from a player like him. "The great thing about him is his approach to batting. From the time I have come into the team, his methods of preparation have always been the same. He spends hours batting in the nets. He will be the first one in and usually the last one out – and it shows in the way he goes about his business. "As a young player, if you want to display that mental toughness, Chanderpaul is the perfect role model for that. Hopefully, he will be around the dressing room for a little while longer. He still looks in good physical shape and he is still playing well."